Click with your clients with this awesome promotional product! 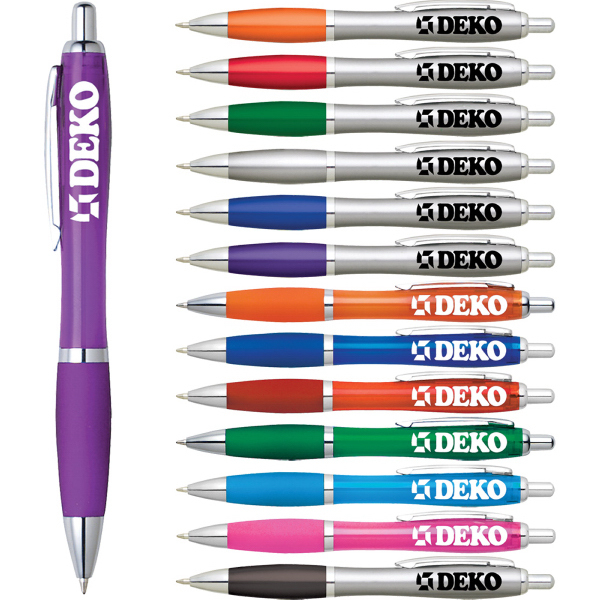 This retractable ballpoint, soft grip pen is available in a variety of color combinations so you can create the exact color scheme you need to match the unique needs of your event. Please note the solid silver pen does not include a soft grip. Pens are the perfect item for gift bags, giveaways, meetings and seminars. Customize this item for your next event or marketing campaign.